The majority of state in the US have enacted statute related to ignition interlock devices (IID) as a way to discourage motorists from violating drunk driving laws. An IID is essentially a type of breathalyzer machine that is electronically linked to your car’s engine. The device incorporates technology that prevents your vehicle from starting if it detects alcohol in your system when you breathe into it. Delaware’s law on IIDs is included under the section on Rules of the Road, and there are two programs that may be available if you were charged with Driving While Intoxicated. 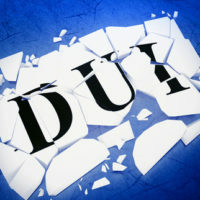 A skilled Delaware DUI lawyer can help you determine which program may be an option in your case, but a general overview of these IID programs may be useful. There are no other charges against you that could lead to a license revocation for some other reason. If you meet these qualifications and enter the FOE – IID Diversion program, the device must remain upon the subject vehicle for five months from the date of issuance of your IID conditional license. Obtain a favorable Character Background Review from the Delaware DMV. If you are facing drunk driving charges in Delaware and want to know more about your options under the state’s IID programs, please contact the Wilmington, DE office of attorney Michael W. Modica. We can schedule a free consultation to review your case, determine eligibility, and discuss other strategies for DUI defense. © 2017 - 2019 Michael W. Modica, Attorney at Law. All rights reserved.